In the HealthMap project for People With HIV, (PWHIV) designers employed a collaborative rapid ‘persona-building' workshop with health researchers to develop patient personas that embodied patient-centred design goals and contextual awareness from a variety of qualitative and quantitative data. On reflection, this collaborative rapid workshop was a process for drawing together the divergent user research insights and expertise of stakeholders into focus for a chronic disease self-management design. This paper discusses, (i) an analysis of the transcript of the workshop and, (ii) interviews with five practising senior designers, in order to reflect on how the persona-building process was enacted and its role in the HealthMap design evolution. The collaborative rapid persona-building methodology supported: embedding user research insights, eliciting domain expertise, introducing design thinking, facilitating stakeholder collaboration and defining early design requirements. The contribution of this paper is to model the process of collaborative rapid persona-building and to introduce the collaborative rapid persona-building framework as a method to generate design priorities from domain expertise and user research data. In the health care domain it is critical to involve the deep expertise of a variety of health and clinical experts in design conversations, so that designs will be well grounded in the realities of healthcare provision. This paper is concerned with effective ways to involve domain experts in the design process and to effectively draw their deep expertise into the design. 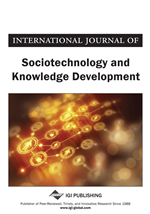 Simonsen and Robertson (2012) have called for the development of processes and tools that support an exchange of knowledge and perspectives between designers and non-designer stakeholders. Similarly Brandt, Binder and Sanders (2013) suggest that being aware of what is accomplished through the application of various tools and techniques, and ‘sensitivity to the coherence of making, telling and enacting’ enables the development of procedures that facilitate collaboration and co-ownership of design (Brandt, Binder & Sanders, 2013, p. 147). The method that we focus upon in this paper is that of persona building and we explore its use in particular as a collaborative means to engage health experts and elicit their knowledge in the service of design. Personas as a tool for design has a long and contentious history and many researchers and practitioners have firm prejudices, either positive or negative, regarding their value as a design tool. Miaskiewicz and Kozar (2011) call for research that can lead to a more rigorous understanding of the personas method. As we witness the evolution of technology into a ubiquitous and pervasive phenomenon there are many unanswered questions around the efficacy and desirability of a pervasive health experience for many patient groups, especially highly stigmatized special user groups. Slavin (2012) describes the current experiences of stigma for PWHIV in Australia and points out that the healthcare system continues to be a significant source of discriminatory and stigmatizing experiences. Understanding the complex psychosocial factors that influence a patient’s willingness to engage with healthcare technologies is a vital ingredient for their successful design and implementation. Any tool that can effectively integrate relevant knowledge of patient experiences, attitudes and behaviours is worthy of investigation and dissemination. For HealthMap, building patient personas was the process that incorporated user research findings and engaged health domain experts into forming the project design. The purpose of this paper is to reflect on the use of the persona building workshop in the context of the HealthMap project and to evaluate the efficacy of collaborative rapid persona-building as a methodology, particularly for the health design context. By offering this case-study the paper directly addresses the lack of transparency into successful persona application. It also addresses Brereton and Buur’s (2008) call for a “move towards iterative, experimental design explorations to provide…understanding of today’s complex contexts and practices” (Brereton and Buur, 2008, p.101).By working as an exemplar of participatory design in a complex context, making a pragmatic contribution to knowledge construction. This paper reflects on the workshop methodology in order to understand the ‘active ingredients’ that contributed to its productivity.